Website Security “was” a Luxury, Now it “is” a Necessity. As time goes by technology changes depending on which way the wind blows. As of late, Google and other SERPs (Search Engine Result Pages) along with browsers such as Chrome are really making it hard for the small business owner to keep up. In order to comply, these places are requiring that your website has an SSL installed. 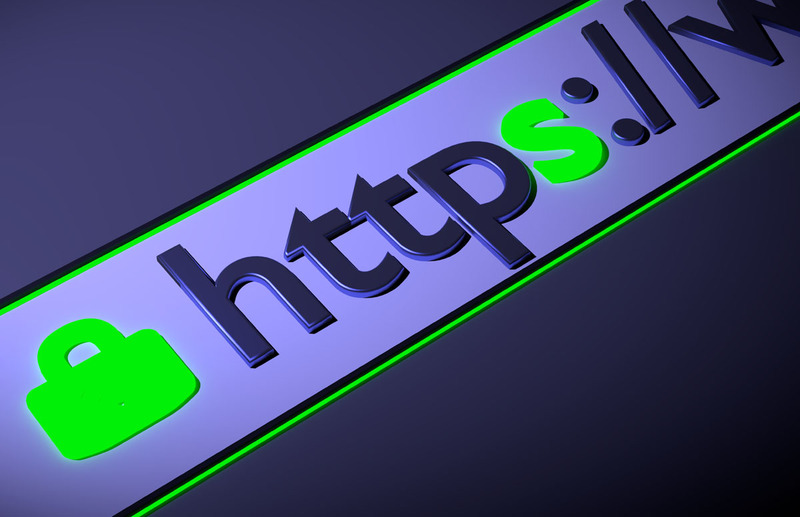 An SSL is a Secure Sockets Layer that encrypts your connection between the web server and browser. Hackers like unsecured websites so they can install or wedge unwanted code in your website. Enough with the Geeky Stuff! English Please! Basically visitors that come to your website want to feel safe just as you would have an alarm system for your house or in your car. Why do you have these? The simple answer is to protect them. The same goes for your website. There are many types of website security but it starts with the SSL. It gives your website visitors a warm and fuzzy feeling when they are browsing your products and services. If you have a form on your website you want them to be able to fill it out comfortably without worrying if their information will get stolen. The other important piece to the puzzle is search rank. Google and the like are penalizing websites by ranking them lower than ones with and SSL. This in and of itself is most crucial. That is like moving your business location in the woods where nobody can find you! We have several steps to ensure that the SSL is installed and working properly. Not only that we make sure that we tell the search engines that we made the change so they know how to read your website. Purchase Certificate – We mainly use GoDaddy for our hosting and SSL certificates because they seem to be more intuitive than the others. As of now a certificate can cost around $75. Install Certificate – Once you purchase your certificate you have to install it. When the website and the domain are in the same location, in this case GoDaddy there are a few less steps you need to take compared to if they are in two different spots. This is a little more manual and sometimes will take a few tries to get it right. Verify Certificate – When the certificate is installed you will get an email stating that it was successful. To verify the certificate we goto https:// version of your website. Click on the green padlock (if it shows up instantly) and it should show the date of installation along with the date of expiration. Test Certificate – If the padlock is not green that means it is not secure so we would run a test to make sure there is no mixed content. If there are errors we go through them one by one to clean them up until the padlock is green. Add and Test Redirects – In some cases the redirect will not happen automatically. This is usually true for HTML or PHP websites. WordPress on a GoDaddy server has a auto task that will run through the site and make the proper changes to make sure the end URL is https:// with the non www or the www version of your website. Whichever you prefer. Update Google Analytics – In the analytics dashboard there is a setting to switch the view from http to https under Property Settings. Once that is done click save. Once that is complete you want to use a program to create a sitemap using the https:// version of your website. That could be the non www or the www. That Sure is a Lot of Steps! Maybe so! But they all need to be done in order to achieve the best results. If it is done half-assed you will get sub-par results. We don’t like to skip steps or hack anything together. If this is beyond you skill level we are here to help but we just wanted to let you know that it is not as easy as paying a bill and flipping a switch. We bring value to the table so that you can carry on with your day serving your clients and not trying to figure all of this out on your own. Speak to a SSL Expert Today!